In addition to all the landscaping services we provide, we also have a fully stocked nursery! 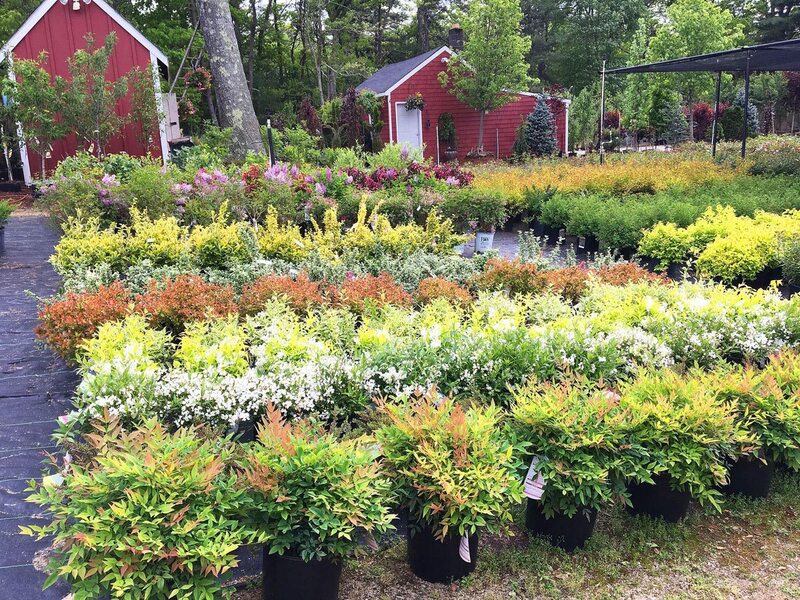 Our nursery division, Hopkins Hill Nursery, has a wholesale yard for landscapers and a retail garden center for our residential customers. We stock a wide variety of plants, including large shade trees, evergreen trees, flowering and specimen trees, flowering and evergreen shrubs, perennials and groundcovers, annuals and hanging baskets, etc. We also have several mulches and soils, as well as a variety of lawncare and fertilization products. Visit the Hopkins Hill Nursery website!